Things have been really stressful at home lately and honestly, quick and easy meals have done the trick. 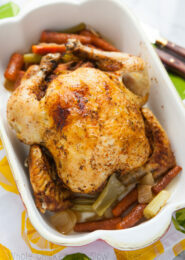 Are you like me and are always looking for easy meals? 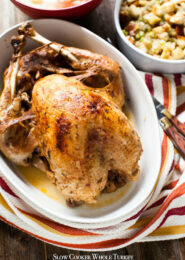 I’m a huge fan of easy meals and love sharing them with you! I’m excited to be working with The National Shrimp Council this year and creating recipes with shrimp to share with you! 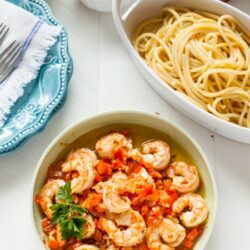 Shrimp is so easy to cook and with pasta, I can’t think of a better combination! This is how I quickly defrost shrimp. Place the shrimp in a glass mixing bowl and fill it up with cold water. Let it sit for a few minutes. Drain the water and fill it up again with cold water. After sitting for a few minutes, the shrimp is usually defrosted. Just drain the water and peel and devein the shrimp! 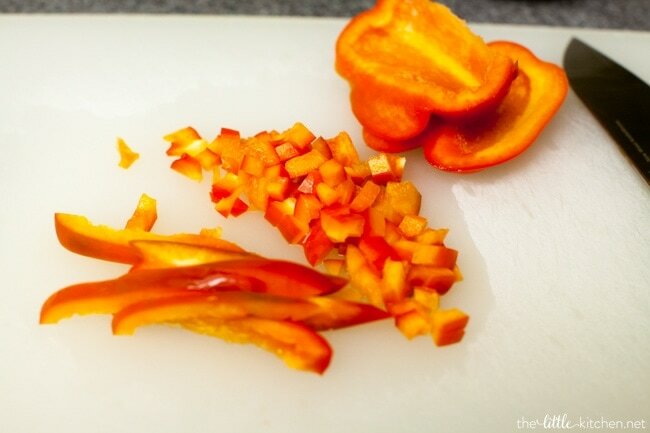 After peeling them, dry them with a paper towel. This ensures you get a nice sear on your shrimp when you cook them otherwise you’ll just steam them. Dice the peppers and mince the garlic. It only takes 1 to 2 minutes on each side to cook the shrimp. Remove the shrimp and set aside. 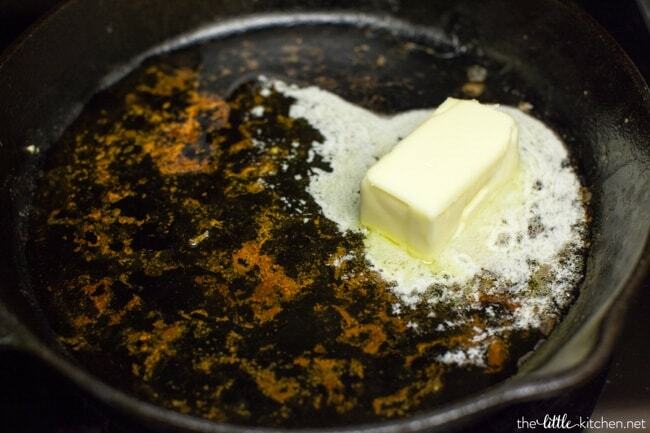 Add butter to your cast iron skillet. 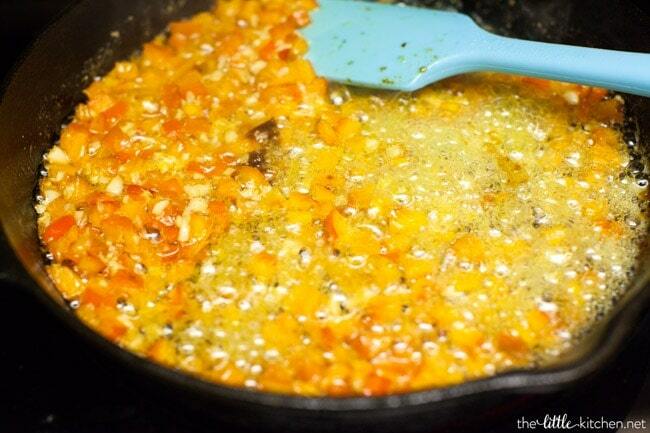 Cook the red peppers in the butter. It’s so lovely! I then add the shrimp back into coat. 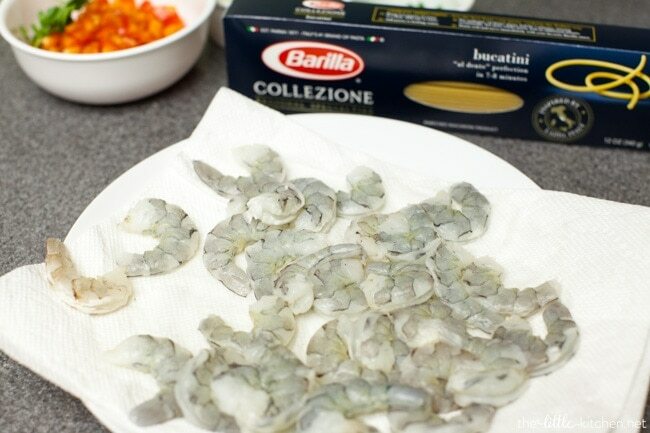 I served this shrimp with Barilla Collezione Bucatini pasta which I loved! 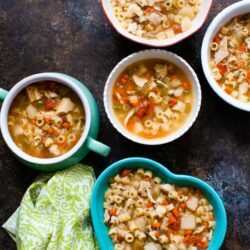 It’s such an easy and comforting meal…this recipe is perfect for meatless Mondays and on Fridays for Lent! 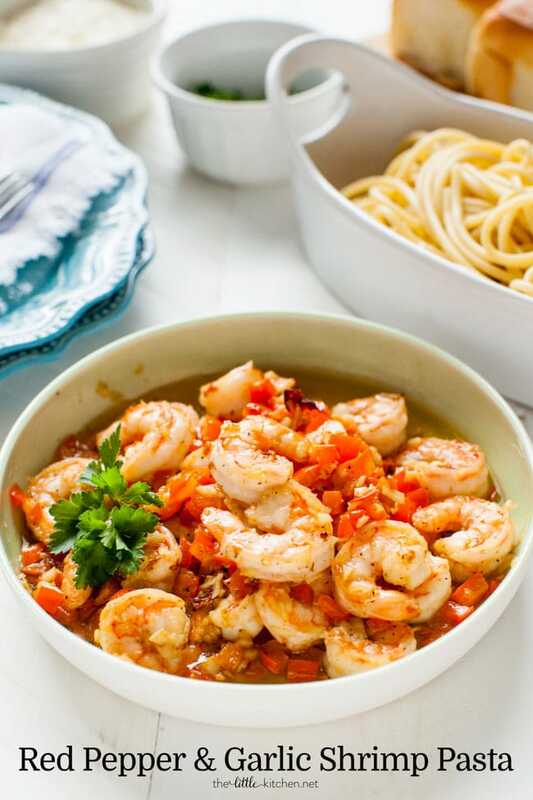 For more great shrimp recipes, be sure to check out the Council’s facebook and pinterest pages! 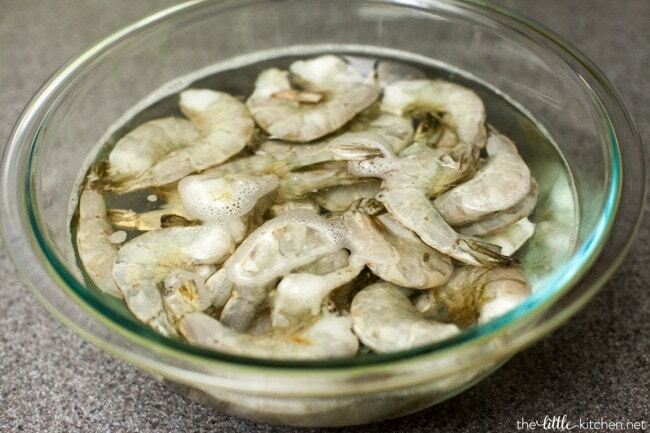 If your shrimp is frozen, add the shrimp to a large mixing bowl and fill with cold water. Let sit for a few minutes. Then, drain the water and add more cold water. Shrimp should defrost in just a few minutes. Prep shrimp and dry with a paper towel. Season the shrimp with salt and pepper. Bring water to a boil in a large pot for the pasta. Follow instructions on the package. Heat a cast iron skillet on medium high for 3 minutes. 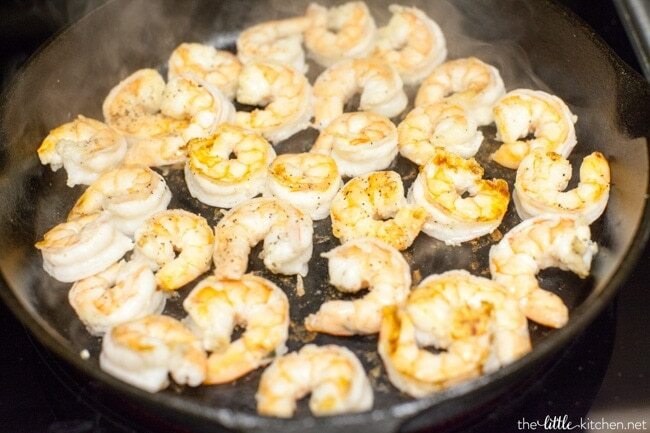 Add shrimp to skillet and cook for 1 to 2 minutes on each side, until cooked through and browned. Remove shrimp and place on a clean plate. Set aside. Add olive oil and butter to the skillet on medium heat. 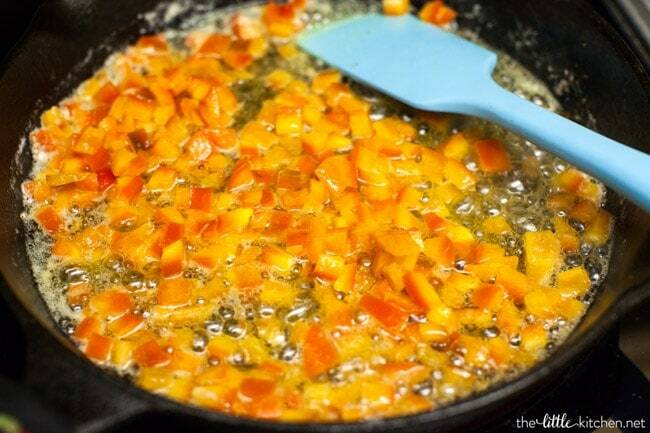 When the butter melts, add the red pepper and cook for 2 to 3 minutes. 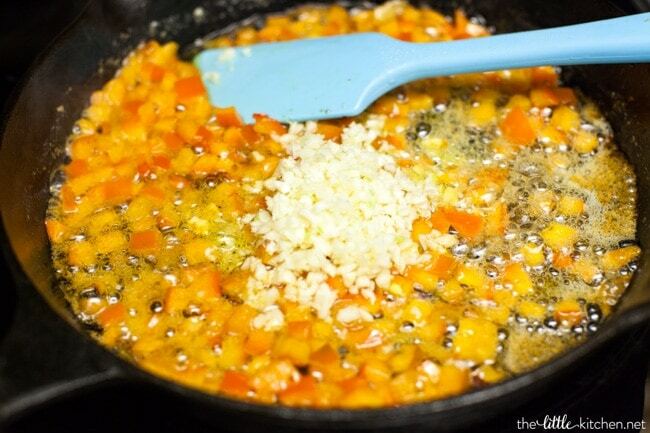 Then add the garlic and cook for 1 to 2 minutes. Add the shrimp back in for 30 seconds and toss to coat. Serve the shrimp with pasta topped with fresh parsley and parmesan cheese. Disclosure: This post is sponsored by The National Shrimp Council. I always share with you my own opinions and only work with brands that I love. 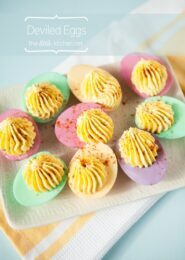 Thank you for supporting the brands that I work with so I can continue to share with you recipes like these! Oh this sounds delicious! 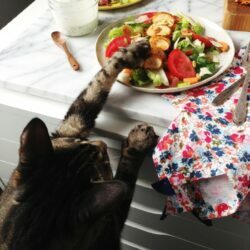 I’m always looking for easy recipes! 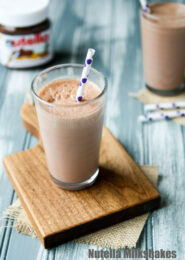 I’ll be adding this to my menu plan next week! This looks spectacular!! The shrimp are so plump and flavorful-looking!! 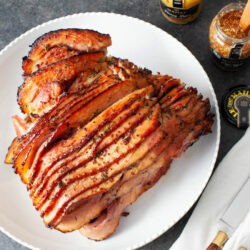 I’m making this for dinner this week. 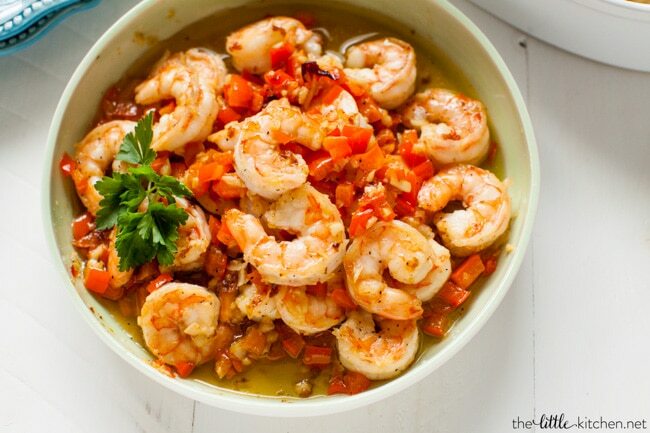 Shrimp makes the best quick and easy dinners. 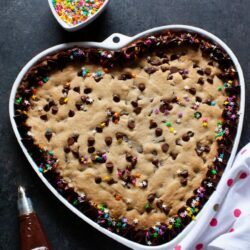 I should make this for my family soon! I’m always nervous about cooking shrimp but this recipe and your directions made it easy. Thank you. OMG this sounds just PERFECT. I am a shrimp fiend and need some great recipes for them this week – so this is ideal! This sounds heavenly! 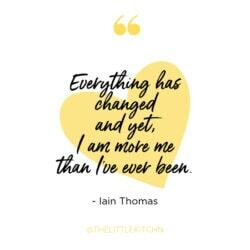 You’re right. Shrimp and pasta. What a combination! I seriously LOVE shrimp. I could eat them at ALL the meals. 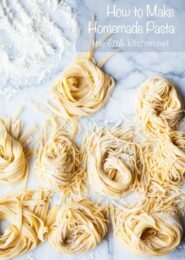 Plus, I (like everyone else in the world) love a good pasta, this is totally happening for dinner this week! Pinned! Chris would love this dish! Bookmarking for dinner this week! Easy meals ALL THE WAY. 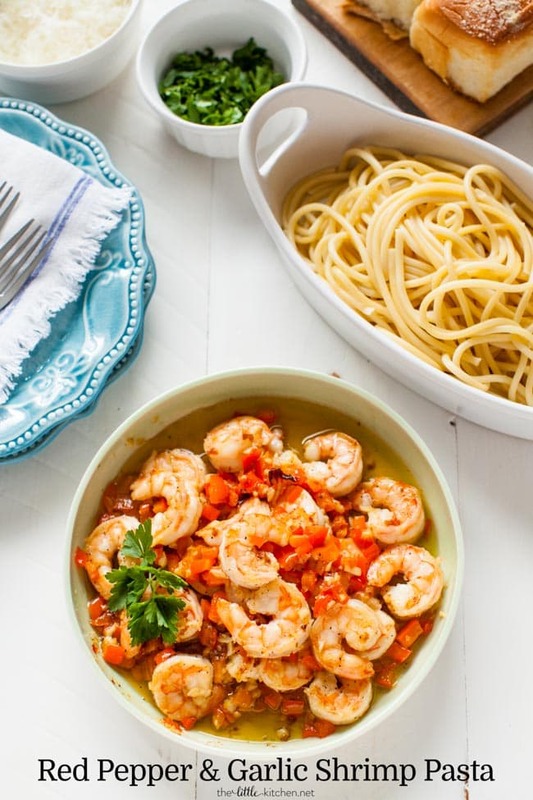 Love the shrimp in here too—I don’t cook with it often enough! 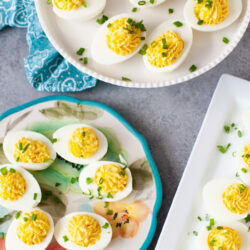 Loving this quick and easy recipe. Printing this out to try it this week, can’t wait. I can go for shrimp at anytime and I always love how easy it is to prepare. This looks like the perfect meal. 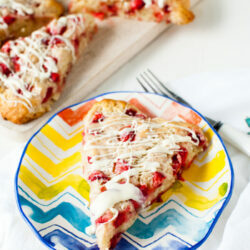 Totally gorgeous, and I’m sure it tastes amazing too! Wow! I made this tonight, followed your recipe pretty closely and it was terrific. Son’s coming home from work later, any tips on reheating the bucatini?